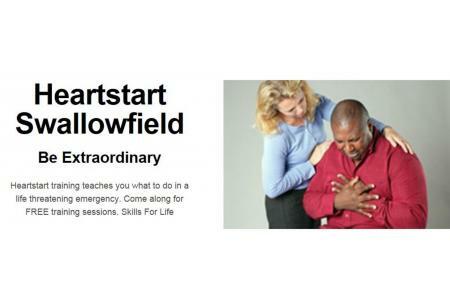 Heartstart Swallowfield is affiliated to, but independent of, the British Heart Foundation and provides training on Emergency Life Support (ELS) skills. Training is free although donations are warmly received. The course normally lasts for 2.5 hours and anyone above the age of 10 can attend. Topics covered include: -Priorities/the conscious casualty -The unconscious casualty -Cardiac arrest -Suspected heart attack -Choking & the AED. See www.heartstartswallowfield.co.uk for course dates. Every year around 124,000 people in the UK suffer a heart attack. Many of these people then suffer a cardiac arrest and die before reaching hospital. Without resuscitation, cardiac arrest is always fatal. Performing CPR (cardiopulmonary resuscitation) immediately can double the person's chances of survival. These free courses teach the local community to be able to deal with various life threatening emergencies should they come across them. By attending the training people should be able to know: How to perform CPR; How to deal with the unconscious casualty; How to deal with serious bleeding; How to deal with choking and to see just how easy it is to operate an Autonated External Defibrillator. At the end of the course, trainees will receive a course completion certificate, but, far more importantly, we hope, the confidence to deal with any of the above life-threatening situations and the ability to potentially save a life.